Thanks to the rise of telemedicine as well as retail healthcare, patients now have access to an ever-growing pool of providers. Acquiring—and more importantly keeping—patients can become a major challenge, but it doesn’t have to be this way. By making ongoing communication a cornerstone of your organization, you can not only improve health outcomes but also increase patient loyalty. Let’s look at some of the key places in a patient’s journey where you can meaningfully communicate with them. If you want to keep patients coming back, you need to hit the ground running. In other words, you should make their first interaction with your brand a positive one. In today’s digital world, chances are most of these first-time interactions are online. Engage patients by making your website both a valuable resource and interactive experience. Include surveys or quizzes that help you learn more about your audience. If possible, set up a chatbot or live chat to answer any questions visitors may have. By reaching out and proactively engaging with consumers the first time they visit your website, you increase the likelihood that they will schedule an appointment. Someone has just scheduled their first appointment—congratulations! Your work is just beginning, though. To set your practice apart and increase patient loyalty, try creating some meaningful interactions before the first appointment. For example, you could send an email explaining office procedures or a welcome video where staff members greet new patients. You could also send a message reminding patients about the date and time of their appointment and what documents they should bring, such as insurance cards and photo identification. Once the potential patient arrives, make them feel heard. Answer all questions and address any concerns while they are in the office. That first appointment plays a critical role in the formation of a strong patient-provider connection. You may also consider providing a list of common questions that patients can look over before you enter the exam room. It can be frustrating for a patient if they forget a particular issue they wanted to discuss with you. Priming them with some starter questions can solve that problem. Continuing the communication cycle and nurturing the patient-provider relationship long after the appointment is over are arguably the most critical steps on the path to patient loyalty. The following week, send new patients a follow-up message asking for feedback about their experience. Then, go a step further and remind them about their medication and other important aspects of their care plan. Patients all too often forget to follow doctors’ recommendations, but simple reminders can not only keep them on track but also improve their perception of you. Post-appointment communication is also a great way to promote upcoming events and programs and stay top of mind. Let’s say you’re hosting an annual wellness workshop that provides flu shots and influenza information to the community. By contacting patients about the event through a personalized approach, they feel remembered as individuals and not just patients, thereby encouraging repeat visits. When personalizing the frequency and type of communications, though, you need to understand how often is too often—or not often enough. Fortunately, there’s a solution for that: psychographic segmentation. Psychographic segmentation classifies individuals based on their lifestyle, values and preferences. It’s an effective tool that allows healthcare providers to target and communicate with their audience more accurately. How often a patient would like to receive communications from their doctor differs between segments. According to the 2018 PatientBond Consumer Diagnostic, our nationally representative study on healthcare consumers in the United States, certain groups preferred more communication from their healthcare providers than others. 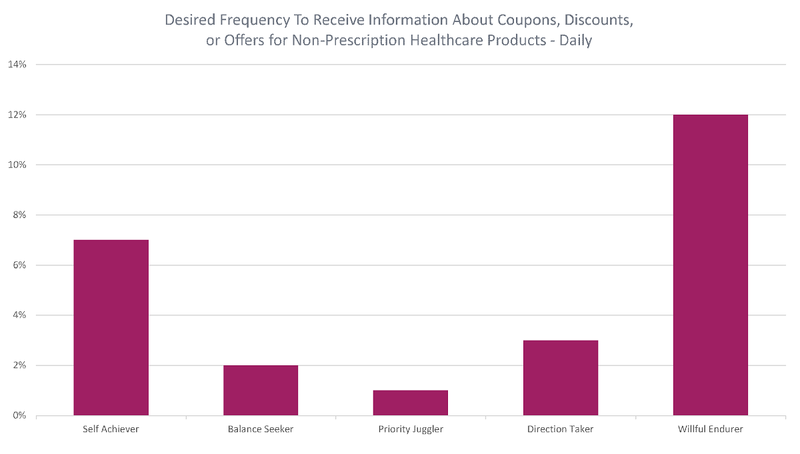 Willful Endurers and Self Achievers, for example, were interested in receiving coupons, discounts or offers for non-prescription healthcare products daily. The other three segments preferred a lower frequency. 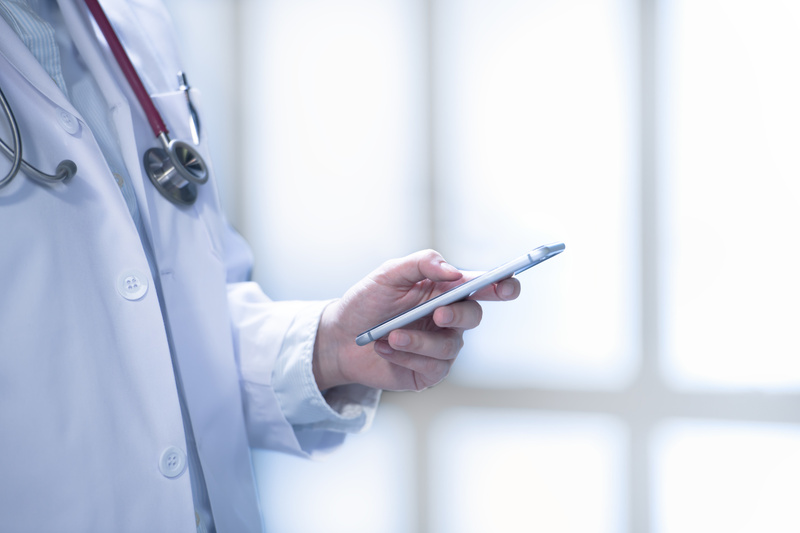 Leveraging this wealth of data can help your organization enhance the quality of patient-provider interactions and increase both loyalty and satisfaction. It’s also important to note that ideal communication channels differ between segments. That’s right—it’s not only about how often you communicate, it’s also about how you communicate. You can use this psychographic data to engage with patients in their preferred manner. According to the same study, Willful Endurers were more likely than any other segment to be interested in an online video call. On the other hand, they were the least likely to want a live phone call. When fostering patient loyalty, remember you need to have the right messaging, delivered at the right frequency, via the best channels. If you can master those three aspects, your organization will stand out from other healthcare providers. Effective, ongoing communication makes your patients feel heard and cared for—and more likely to come back. For more patient loyalty insights, download our case study.